Closed Loop Cooling Towers – Cooling Tower Systems, Inc.
Because the processed material and the coolant are moved through separate circuits in a closed loop cooling tower system, it is not necessary for the two substances to be compatible as is the case in open systems. Additionally, this isolation eliminates room for contamination which can be harmful to human health and reduce operational efficiency. Although the initial cost of closed loop cooling towers can be greater than other cooling tower systems, the lower maintenance costs make indirect cooling a long-term cost effective option. As 100% of fluids are returned to circulation rather than being evaporated, water costs are lowered. Similarly, levels of thermal pollution are lower as there are no exhaust fumes into the atmosphere. The many benefits of closed loop cooling towers allow their use in several commercial and industrial settings such as air conditioner cooling or HVAC cooling towers, water treatment, power generation, plastic and paper manufacturing. While specific models may vary, the closed loop system works in a manner similar to refrigeration units. An external circuit houses a second circuit which is composed of coils, or tube like bundles. These coils or bundles contain the coolant and are curved or wound to increase the surface space allowing more productive cooling. As the cooled agent is moved through the interior circuit, the hot processed materials flow around it. The surface between the two is made of conductive materials and acts as a heat exchanger. Heat moves from the process substance to the coolant, thereby lowering its temperature and allowing it to be returned to circulation. After the temperature of the coolant drops back down, it too may be reused. In some systems the placement is reversed and the coolant runs through the exterior channel surrounding the hot fluid, but the general heat exchange process remains the same. Materials used in the development of industrial cooling towers vary as they need to suit a variety of needs. In general, carbon, stainless steel, copper and ceramics are used because of their conductive qualities and durability. Forced or induced draft techniques may be used to move air or fluids through closed loop cooling towers to increase performance and process efficiency. Closed Loop Cooling Towers Closed loop cooling towers utilize a functional design in which the coolant and the process substance are kept completely isolated throughout the cooling process, allowing recirculation without additional filtration. 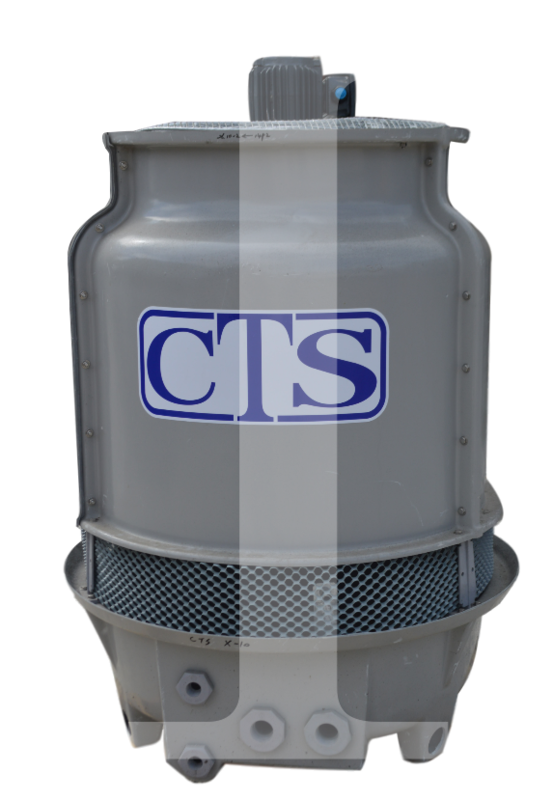 Also referred to as indirect or closed circuit cooling towers, this compact design is very versatile and one of the safest methods of process cooling.